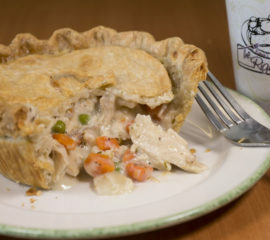 Our wide selection of Vegetarian Pot pies changes daily. We use locally grown organic veggies when we can, though they are not always available. Some of our flavors include: Red Curry, Tomato Onion Cheddar, Parmesan Cabbage, Purple Sweet Potato Confetti and many more! 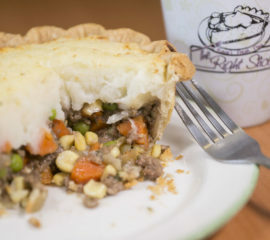 Your pot pies will be baked just before we leave the bakery for the event. 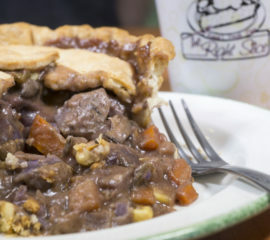 The earlier in the evening you arrive, the fresher your pot pies will be. Check Facebook to see what the current Veggie flavor of the Day is. Flavors are subject to change throughout the day. If you want a specific one or if you have an allergy or other food problem, please call your order in. Please note that all orders require a minimum of 24 hours notice. We often leave several hours before the market to allow for travel and set up times. 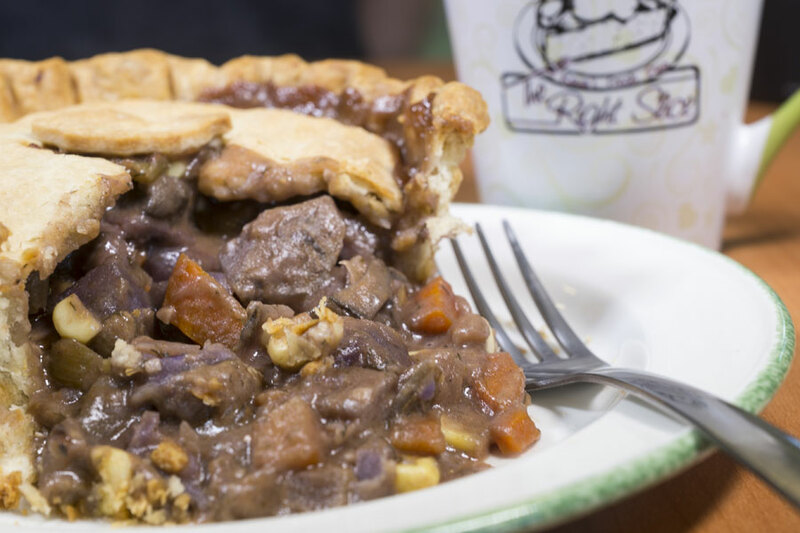 We do request that you pick up your pies within the first hour of the market if at all possible.